I’m speedily typing this out before I don’t finish again and then couldn’t be bothered to save my draft – yes, I did that three times. The Greatest Showman is a great way to start 2018. I really enjoyed this uplifting, beautiful and gorgeously crafted film and I was legitimately upset when it finished – I wanted more and still want more. A quick look into PT Barnum’s actual life is enough to tell you that this film isn’t a true depiction of his life. He seems to have been a driven and successful businessman, surely nice, but not the outstanding charm that Hugh Jackman brings to this movie. How charming is he? How excellent does he sing and dance? It is beautiful. Michelle Williams is also stunning in this role, I’ve never before quite liked her quite this much. She is a motherly presence and her scenes with the two daughters are beautiful and playful. Then there is Zac Efron, who seems the most comfortable in life when he can be artistic – every film of his where he’s actually been good in is some sort of musical. He’s charming and dazzling, and uses his expressive eyes to lure you into his love for Anne (Zendaya), the flexible and gorgeous trapeze artist who has had one too many rich person sneer at her. The love story wasn’t necessary, but it was still sweet. In a time where people out of the norm is under attack, The Greatest Showman takes a clear line in defense with its’ celebration of the strange and unusual, showing they have a place in this world and deserves respect. The townspeople who so vehemently opposes PT Barnum’s circus is perhaps just a bit of social commentary on the current residing office in a whole lot of countries. They don’t understand, so they hate. Yet the circus becomes a tight little group, and not even Barnum’s sudden lack of interest in them when he spots Jenny Lind (Rebecca Fergusson) can stop them from remaining tightly knit. Fergusson did not do her own singing and merely acted the role, but she was utterly convincing as the up and coming Lind, who (if you look at Jackman in that red jacket you would too) develops a massive infatuation on Barnum, seeing their similar upbringings and struggles as an important link. Tragic strikes Barnum in multiple ways and he’s left with a damaged marriage and a tattered circus, but since this movie is all about happiness he rebuilds both quickly. Is it idealistic? Yes. Is it highly improbably that Barnum was such a nice man? Definitely. However, the colors and choreography, combined with the acting, singing and wonderful set design, makes The Greatest Showman one of the most enjoyable films I have ever seen. It’s a bit early in the year to declare a film a favorite of the year (and also I’ve literally only seen one 2018 release yet), but if we measure only in pure enjoyment then I doubt anything will beat The Greatest Showman this year for me. And the gentlemen who prefer. I know, I know. I always pick him. He‘s beautiful, T9M agrees. Muscly, tall, handsome and by all accounts sweet. YEAH. Some parents equal genetic lottery, and the Hemsworth line is certainly blessed as such. I’ve always been primarily on the Chris-train, but Liam Hemsworth has been catching my eye as of late. Reasons: He’s 25, I’m 25, PERFECT MATCH OBVS. 2) All that leg – same reason I love those cricket players so much. 3) Those puppy eyes that shows such goodness. I love beards. The just add to the manly man that no amount of muscle can do. Yet, on Tom Hardy, I prefer him clean faced. No idea why, but maybe it is because that scraggly beard hides that lovely mouth and we can’t have that, can we? The guy looks like Prince Charming from a Disney Movie. It makes my heart sigh. I’m just going to say straight off the bat that if Armie Hammer didn’t take up a Russian accent in the Man from U.N.C.L.E, he probably wouldn’t have made the list. He’s not my usual type of guy, but that accent combined with the length, and perplexingly, his affection for polo-necks in that film, made me drool. Looks like his dad, but HOT. Not really my taste usually, but yummy still. I’ll start off saying that I’m not one of the Nolanites who obsessively watch for new releases and get violent in his defense. That does not stop me from recognizing the true genius of the man, but I don’t faint with excitement is all I’m saying. But he directed two of the Blindspots I’ve most enjoyed this year, so obviously this guy is on to something. I chose amazing Blindspots for 2015. Both the Godfather One and Two, Fury, Interstellar, Casablanca and now the Prestige were all well worth the time I devoted to them. I have Pulp Fiction and A Good Year left and I think we can safely say that Pulp Fiction is the one that might upset the rankings here. The Prestige is a phenomenal movie. It is entertaining, well-paced, and non-linear in its storytelling (I’ve come to realize that ol’ Nolan likes doing this). Michael Caine, Hugh Jackman, Christian Bale, Scarlett Johannson, Andy Serkis and David Bowie are the main cast and they entertain non-stop. I’ve always thought Christian Bale is a fantastic actor, but I haven’t really seen him as jaw dropping good. I’m told that this is more his natural accent than any other, but just realizing how excellently he does accents and how his whole demeanor changes when he slips into a role is terribly impressive. Without giving plot reveals on here, because if you haven’t seen it you really should, I called one of the big ones pretty early on. All you have to do is pay attention to Tesla’s experience (an already fascinating character and his incorporation into this was a great idea). The last one, just before the end of the movie? I had my suspicions but wasn’t totally correct there – it was very well done. The movie has a fantastic end – you are kept wondering and on the edge of your seat until the very end, and then it still manage to surprise. 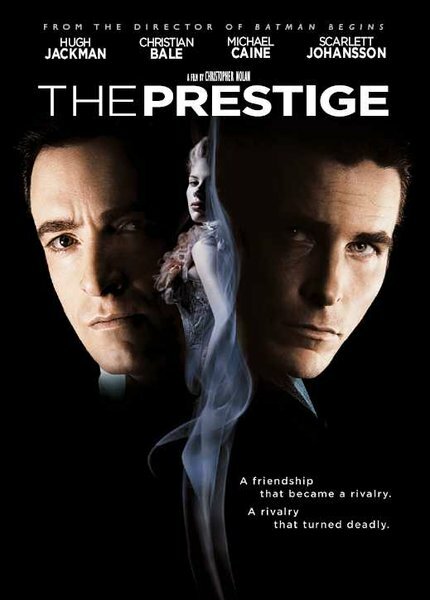 The Prestige is well worth the watch. So happy I chose this! Plot: High schooler Greg, who spends most of his time making parodies of classic movies with his co-worker Earl, finds his outlook forever altered after befriending a classmate who has just been diagnosed with cancer. In hindsight it might not have been the best idea to watch a movie about cancer when I just lost someone to cancer. If you want your opinions to change about cancer movies, see someone die because of it. In hindsight, that is such a stupid statement, but you know what I mean. Movies involving cancer are most often idealistic and I don’t blame the producers for it. It is a very hard topic and by injecting some optimism here and there it can bring some happiness back into the world – for people who haven’t survived it / haven’t seen what the disease does. 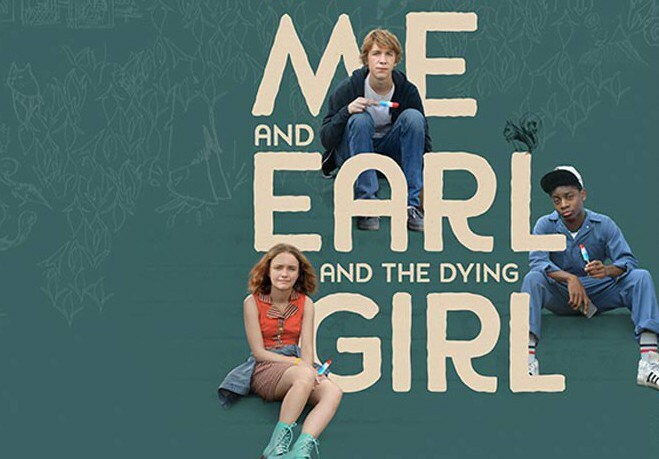 Me, Earl and the Dying girl is the best it is going to get without killing everyone’s happiness. I have great love for Sundance and this movie is so typical Sundance – relatively low budget, quite quirky and good enough to watch. The dialogue is very fast and hilarious. Greg Gaines (fantastic performance here by Thomas Mann) is a unique and entertaining character. It is easy to miss that this child obviously suffers from a crippling self-loathing and probably has a ton of social anxiety as well because he is intelligent and does not hide in his room – dangerous qualities in any teenager with problems. Greg’s friendship with Earl (RJ Cyler) is endearing, and Earl’s spot on assessment of Greg’s personality just shows that they will be friends forever. Oliva Cooke is Rachel, the leukemia patient. She is talented and memorable (I just had to substitute rememberable for memorable, because it is actually a real word). She did a good job with playing a cancer patient – it can’t be easy, and some of the things the character says will stay with me for a long time. Nick Offerman plays Greg’s father, and it was nice to see him in something. Albeit strange, his character isn’t just another Ron Swanson knock-off, so it was good to see him be another character. Jon Benrthal as Mr. McCartney is a character I really liked. Can we just get more of these teachers in school, please? Mr. McCartney wasn’t overbearing and he supplemented the story quite well. I think the quirk and the originality of the film carries a lot of weight. It does well in addressing the genre, it isn’t this romantic film that is total bull. I enjoyed it, more than I thought I would, because it is funny and sad and has a lot of truth in it. Definitely recommended. PS: Total LOLZ for the Hugh Jackman voice over. Was great. 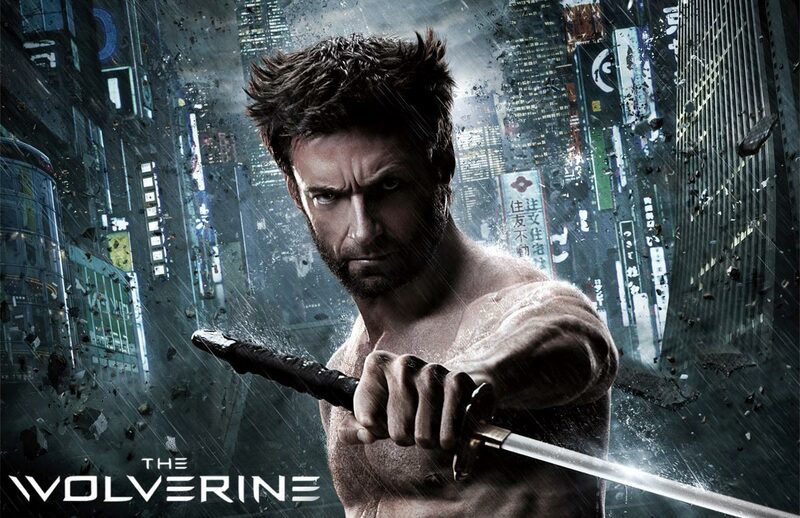 To continue our extensive run with this blogathon, Kim of Tranquil Dreams was kind enough to review The Wolverine for me. Thanks Kim! I’ve never been a comic book reader, at least not for superheroes. For the longest time, Marvel and DC Comics didn’t mean much to me. I knew the general popular superheroes but I never knew more than that. When X-Men hit theatres, it didn’t have such a huge appeal to me. However, I only started being more into superheroes after The Avengers and especially my eyes were focused on Marvel. The quality of each of their movies is almost guaranteed. 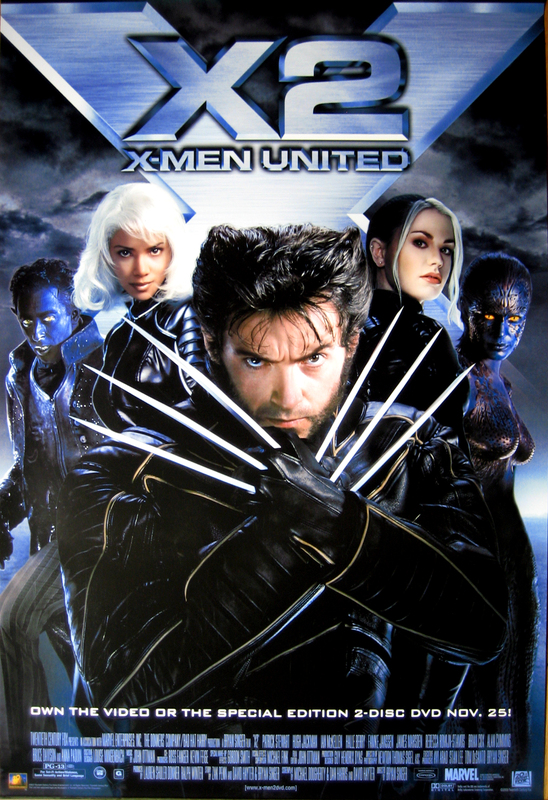 Despite X-Men not having such a huge appeal, I did enjoy the first one when I saw it and soon saw X2 and X3 also. The most outstanding character have be The Wolverine and Hugh Jackman has been identified with him. When The Wolverine came out, I had ever intention to go see it in theatres but never made it there. Thanks to Natasha, I managed to borrow a copy and check it out! Logan (aka The Wolverine) has secluded himself from everyone while living with his own demons and struggling in his own pains of immortality. When he confronts a situation, he meets Yukio who is sent from an old acquaintance, Yashida that he saved asking him to go to Japan for his final goodbye. Except, the moment he enters into his home, he realizes that Yashida is asking for him to consider something crucial to his survival however, little did he know that Yashida would die, setting off a spiral of events. These events are result from everyone trying to beat the the clock when the Yashida’s inheritance will be announced. The Wolverine ends up having to face both the samurai and the yakuza as his caught in the whirlwind of affairs. However, this trip proves to be more than he imagined when he ends up being caught in facing his past and embracing who he is as human, mutant and beast. I have to say that X-Men has kind of dwindled a little after X-Men. X2 and X3 wasn’t exactly movies that I’ve seen again even though I own it. The X-Men Origins wasn’t even that great either. I have to say that although I have full confidence in Hugh Jackman being The Wolverine, I did wonder how this would turn out. It was highly possible to turn into a disappointment. Except, it most absolutely was not! The Wolverine was an adrenaline rush for a huge portion of it. It had fantastic action sequences and the characters and story was really great. The Wolverine really rises up to be this awesome character that develops quite a bit, especially when he eventually embraces his true potential. For once, The Wolverine got a story that was not only entertaining to watch but also saw him as the focus as human as he can be but also facing the “beast” that he is. Although Hugh Jackman does a fine job at being The Wolverine, the supporting cast did a great job also. I must admit that it took a little while for me to get caught on the character of Yukio, she proved be an interesting one that helped lift the story a little. She carried in her the themes of loyalty and courage to fight for what was right. At the same time, a softer character in nature was Mariko who ended up being quite key to the whole story development. While it took me ages to figure out where I saw the ninja that played Harada (Will Yun Lee), he had a somewhat more frustrating character but we all need this sort of nonsensical characters who realize at the last minute what the real deal is. The only thing I had to say was that, The Wolverine was a little lengthy. At one part in the middle, I felt like it dragged a little bit, but then it picked itself up short afterwards, making me somewhat forget that feeling right to the end. Also, I’m not sure if this is a bad thing but I’m sure the Viper chick was supposed to be an annoying villainous character of sorts and I really disliked her, but I guess that just means it’s a job well done, right?